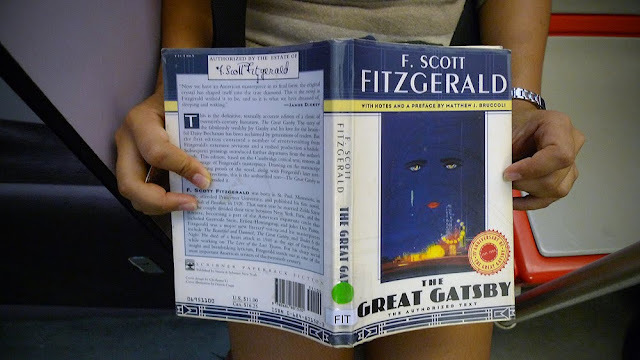 The first time she's reading this Fitzgerald novel. Since she moved to Ampang, she's always been taking the train. Her favourite genre is fiction, and her favourite book is Captain Corelli's Mandolin, but she didn't like the film adaptation and never finished watching it. She just finished school and will start university soon (probably by the time of this post, since I lost her photos for awhile). In other news, where are all the readers!